Back from holiday break, our latest podcast features the Pioneer Press' Chris Tomasson (@christomasson) and Nate Atkins of M Live (@NateAtkins_) analyzing the offseasons of Vikings and Lions, respectively. 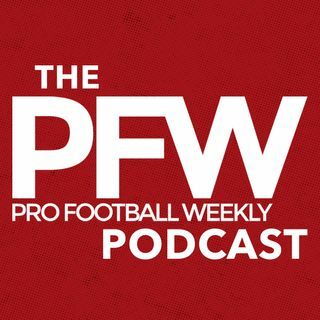 Tomasson and host Arthur Arkush discuss the future of Minnesota's QB room with Sam Bradford and Teddy Bridgewater both entering contract years following dramatically different 2016 seasons. Chris also discusses major changes to Vikings' O-line, RB stable and in the secondary. ... See More Will Dalvin Cook supplant Latavius Murray as the heir to Adrian Peterson? Will Bradford be better protected? And what should we expect from emerging star Danielle Hunter as he enters a full-time role? Next, Nate and Arthur talk Matthew Stafford and his impending record contract; Detroit's decision to eschew its pass rush in favor of the LB and OL units; Ameer Abdullah and/or Eric Ebron as potential fantasy breakouts; and the impact of Taylor Decker's injury and what it does to Detroit's impressive O-line upgrades.